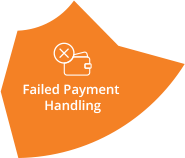 Recover lost revenue with an easy automated failed payment handling process. 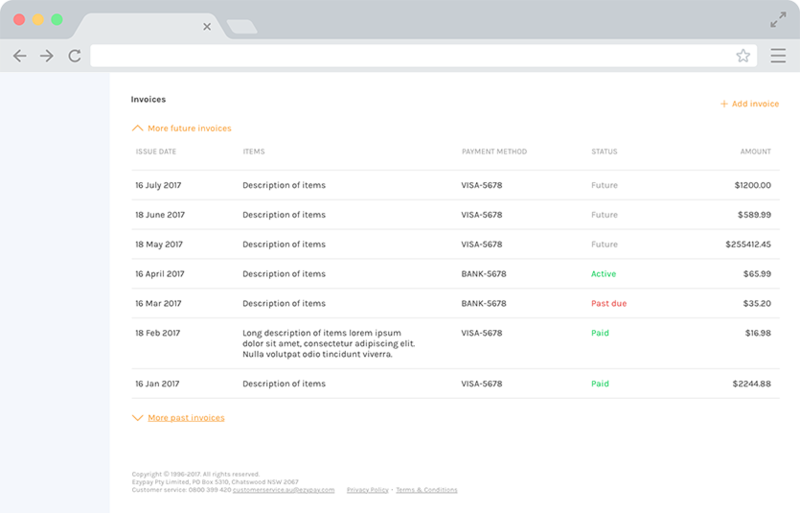 Ezypay allows you to manage recurring payments across multiple sites, and multiple payment methods. No more manual collections for failed or outstanding payments. Ezypay has a proven track record of collecting over 50% of failed payments that do not succeed during the first transaction – which is why we have the highest payment collection rate in the industry. Why should failed payments cost you time and money? 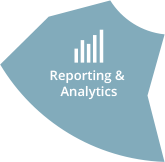 We will investigate and notify you of any failed payments during the billing cycle. Informing your customers of their failed payments and providing any assistance to help them complete their payment is our priority. Ezypay makes it effortless to recover that failed payment. 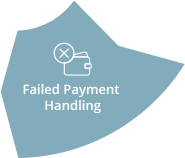 Keep your stakeholders happy by being flexible with failed payment handling. 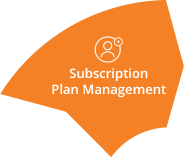 Decide based on the situation or requirements and choose to rebill, continue billing or stop billing and decide when to recover or write-off outstanding payments. Recover on your own terms. 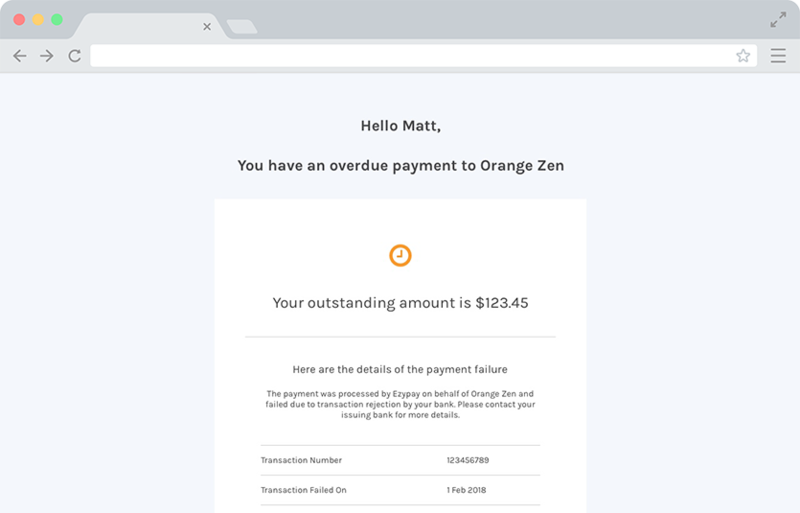 Ezypay will notify you of any failed payments that occured during the billing cycle. 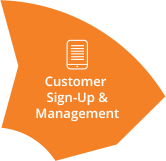 Our system automatically updates the customer record to include failed payment information and fees. We also inform your customer that their payment has failed, the reason why and provide all assistance to ensure a successful rebill. Rebill - The rebilling process is triggered after the failed payment occurs and a notification is sent to the customer. Continue Billing - The customer is notified about the failed payment and amount is listed in the Outstanding Payment Report. Ezypay will continue to collect the next regular debit even if the amount from the last cycle is outstanding. Stop Billing - Halt payment if the cause of failed payment is not resolved. If the issue is still unresolved after 10 days, Ezypay sends another failed payment notification to the customer. Change the collected amount, debit date or completely remove outstanding payments. 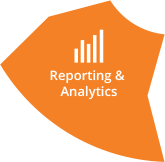 You decide whether to recover, write-off or add an outstanding failed payment amount to the next collection cycle. 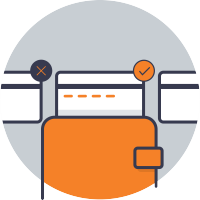 Empower your customers to instantly resolve all failed payments online via credit card in real-time. Our Pay-Me-Today payment recovery link is included in all fail payment notifications sent to affected customers. A failed payment is a payment transaction that was declined by your customer’s credit card issuer or bank. Your customer did not have enough money in their account to complete the transaction. This can be solved by the customer entering more funds into their bank account and then re-billing to collect the failed payment amount. Your customer (or staff) has submitted incorrect banking details into the system, causing the transaction to be rejected by the bank. To resolve this, update the banking details and re-bill the customer. The customer has closed their bank account, causing the transaction to be rejected by the bank. This can be solved by updating the Ezypay billing system with the current banking details and then re-billing the customer. 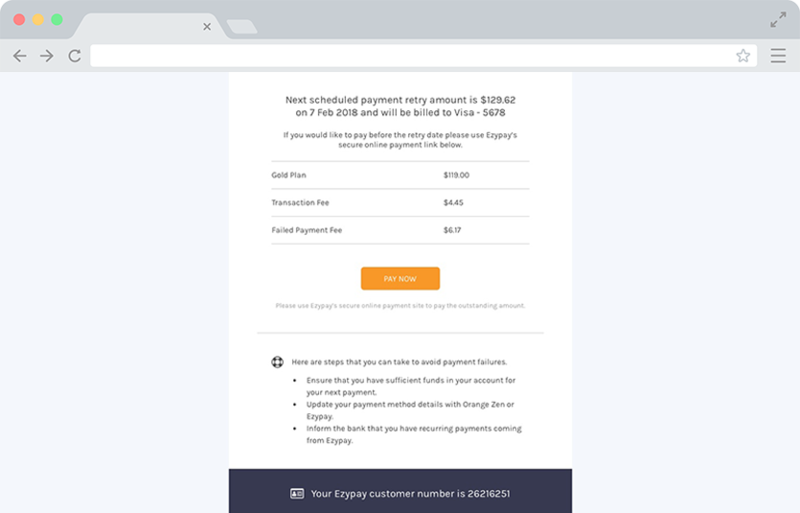 A credit card transaction would usually be declined if the card has expired, but Ezypay has certain exemptions from this – meaning that we can continue to perform successful transactions even on expired credit cards. All bank and credit card holders can place a stop order on future debit processing. 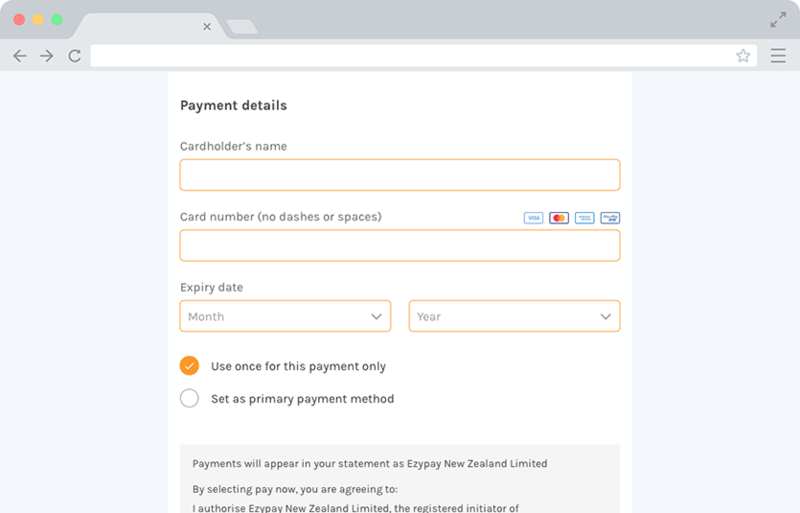 To restart a recurring payment cycle, the customer will need to authorise the bank to allow all Ezypay transactions. The customer or the bank itself can perform a bank reversal if it suspects that the transaction is unauthorised. In this case, the customer’s bank is contacted to clarify the reason for the reversal. The card may be suspected of fraud, lost/stolen, minimum payment was not made, bank system error, card-not-present limit or it has not been set up to accept recurring direct debits/ international transactions. Want to see Ezypay in action?